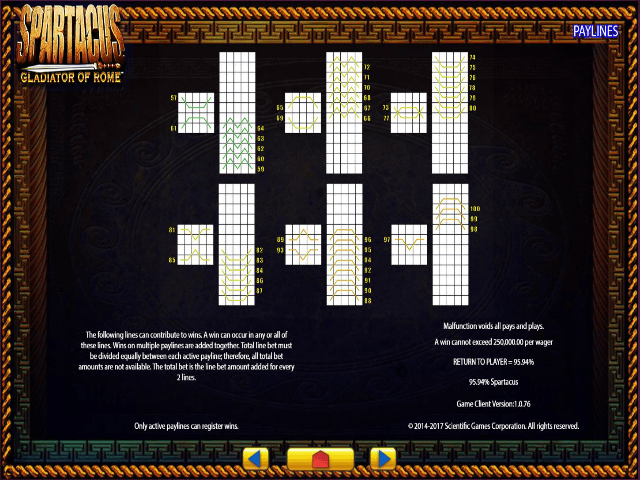 The Spartacus: Gladiator of Rome slot is WMS software's original game, the predecessor of Spartacus: Call to Arms, featuring the famous warrior, and was released in July 2013. But before you head for the sand to hear the baying crowd for yourself, read through our full slot review to get to grips with the game's key elements. If you loved Gladiator the movie then this is slot will thrill you. Featuring the masses of Rome roaring for blood as Spartacus spins over the reels, you'll discover symbols of lions, warrior women, Roman guards, gold helmets and Colosseum wild logos alongside classic fruity hearts, spades and clubs. What's more, the game features dual reels – there's the standard 5x4 set, plus the 5x12 Colossal Reel to the right of the screen. 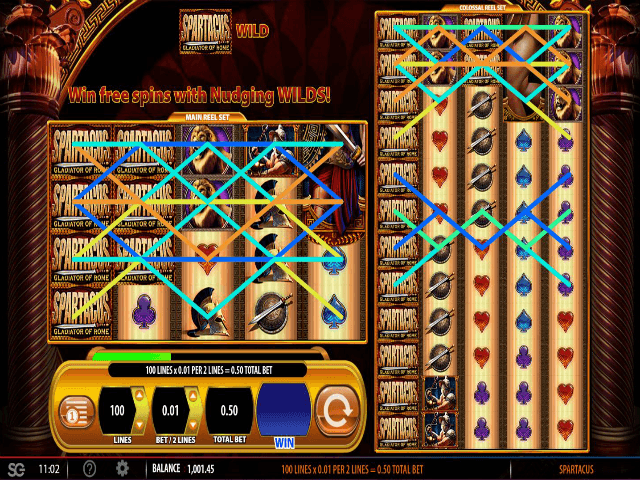 Spartacus' 100 paylines open up a world of opportunity, with stacked wilds, free spins and win multipliers to boot. The slot's RTG of nearly 96% delivers a solid level of basic reward. The game's huge payline number means you can viably spin from 0.01 to 250.00 – making it play like a true Las Vegas gambling machine. Payouts are made when you match three to five symbols. The Spartacus icon is the ace in the pack, giving you a payout of five times your stake. This means the base game jackpot is 1250.00 if you happen to have a massive bankroll at 250.00 a spin! The other base game symbols payout from x0.1 to x4. The payouts are therefore relatively modest in the base game, compared to your spin size. 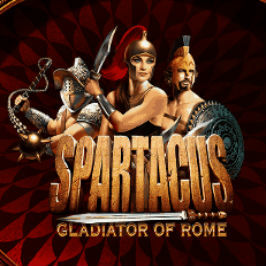 However, the Spartacus: Gladiator of Rome slot really comes to life via the stacked wild and free spin bonus features. When you spin the Spartacus wild logo on the regular reels, it stacks-up to make all four positions wild. It then migrates to the Colossal Reels, significantly enhancing the chance of a big payout. The new reel can seem a bit daunting, but, with no gamer interaction needed, it's a doddle. 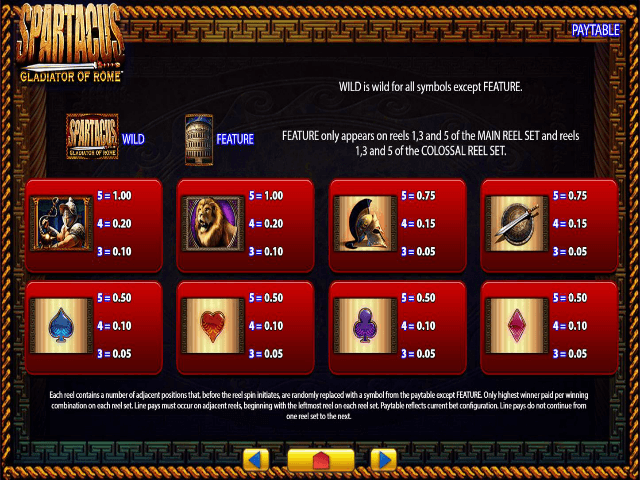 If you like Spartacus: Gladiator of Rome - You'll like these slots too!